Words by Kevin Doocey on August 2, 2009 . Just as it seems we’d be getting good money for our Frenchman Sebastien Bassong, Harry Redknapp has denied the rumours that he’s bid £10m for the centre back. Speaking today, Redknapp confirmed that Sebastien is a player he’d interested in and will probably bid at some stage for the 23 year-old. Reports were rife today from Sky Sports that an initial bid has been rejected but Harry said he knows nothing about the bid, although he said that he didn’t ‘think’ the chairman, Daniel Levy had submitted the bid without his consent. ‘He is a player that I was interested in. I like Bassong, he is a young player with a good future and a good central defender. Yet another twist in the tale, we’ll be reporting on this in further detail once we get, the real details from this story. Someone’s lying, is it an untrustworthy Newcastle United board or a disliked Harry Redknapp, although Newcastle never released a statement saying that had rejected a bid or indeed received one. Saggy-face can up it too £15m and then we wil consider. Thanks Alan, Nice to Toon fans in AUS. I think most fans are desperate for a resolution and more importantly , new owners! 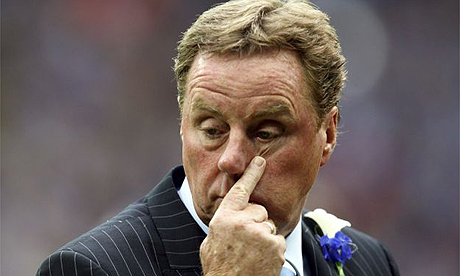 Re ShEaReAr : I'm not sure Redknapp will conjure up £15m either!